Apparently today marks the 400-year anniversary of the death of William Shakespeare, the alleged author* of some of the greatest plays ever written in the English language. 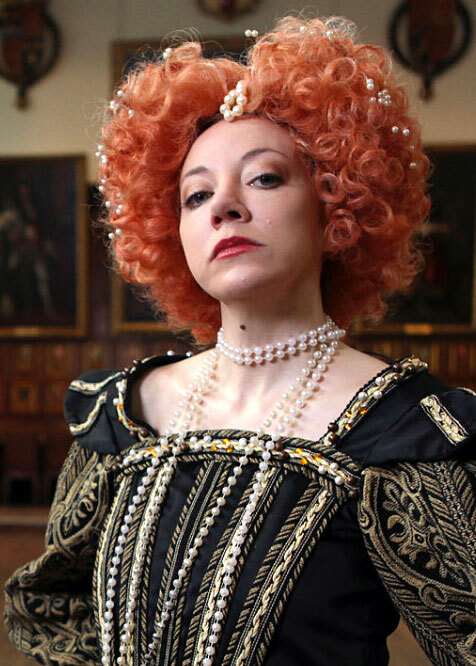 To mark the occasion, the BBC wisely commissioned ace presenter/pundit ‘Philomena Cunk’ (Diane Morgan) to succinctly summarise The Bard’s life and legacy in her own unique stylee. Hurrah! Annoyingly though, we’ve known about the half-hour special’s existence for months, and the Beeb recently released a set of promo photos to taunt us with, but they still haven’t revealed when the show will actually be airing! Gah!! Despite my admiration for Morgan, I’m a little trepidatious about the upcoming (?) episode, because so far we’ve only seen Cunk presenting bite-size nuggets of nonsense, and have no idea if her particular brand of brain-bending absurdity can be stretched to fill a longer time-slot. Of course, I could happily listen to Morgan reading the phonebook for thirty minutes, and I’m sure this programme will be much funnier than that, so hurry up and run it already, Auntie! UPDATE: According to that nice Mr. Brooker, this show will air at 10pm on May 11th (BBC2). Hurrah! * Just kidding… I don’t buy into the conspiracy theories at all. I did try to watch Anonymous a couple weeks back, but it’s a such a hash I gave up after the first twenty minutes. If these Oxfordian snobs can’t even slap a decent/coherent film together to support their case, then what right do they have to slag off Shakespeare, and say he wasn’t educated enough to write the work attributed to him? Feh! This entry was posted in Rants about Theatre, Rants about TV and tagged Charlie Brooker, Cunk on Shakespeare, Diane Morgan, Philomena Cunk, Queen Elizabeth I, William Shakespeare. Bookmark the permalink.